Another pokemon for the collection. 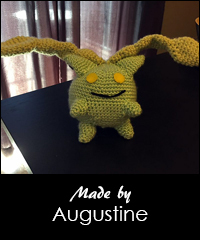 Hoppip is very fun to make and a good addition to your pokemon team. 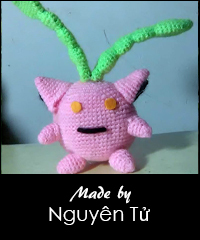 Hoppip is about 16 cm tall.